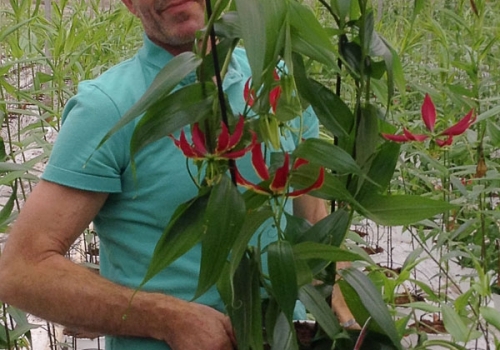 More and more florists are discovering that gloriosa lillies are available on a daily basis, fresh from the crops. 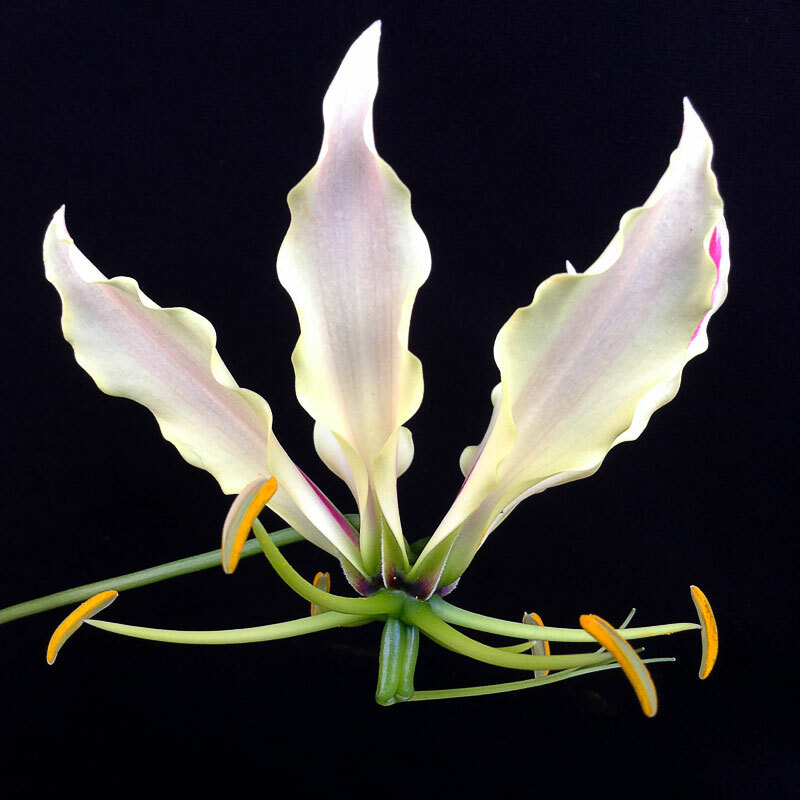 Florists realise that the intense beauty and exclusive ambience of this gorgeous flower sets off any flower arrangement or bouquet, bringing it to a whole new level of beauty and glamour. 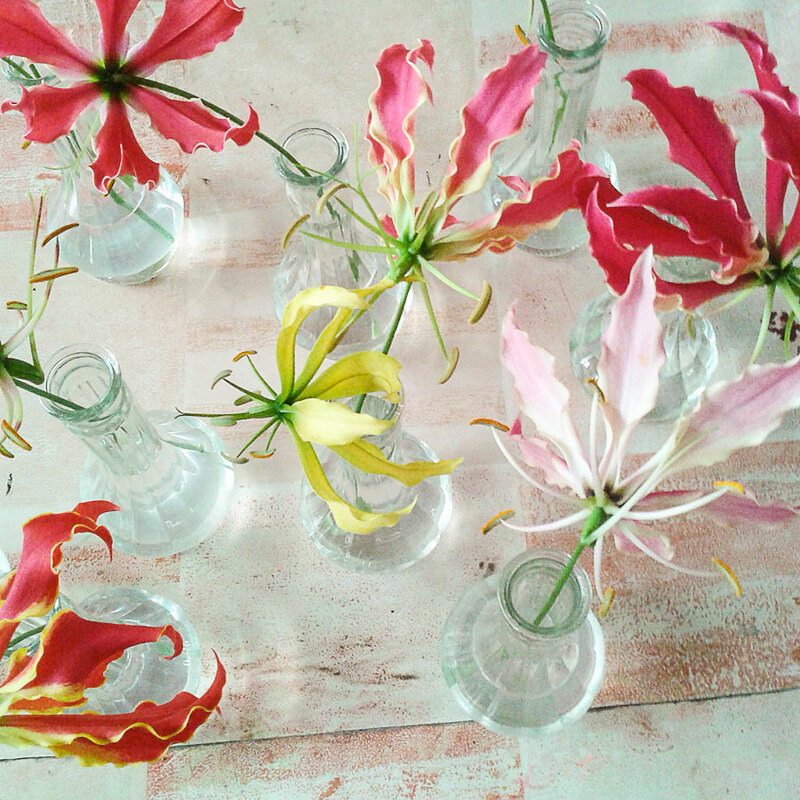 Variations begin with small table-top arrangements, on to arrangements to fill entire halls or churches. 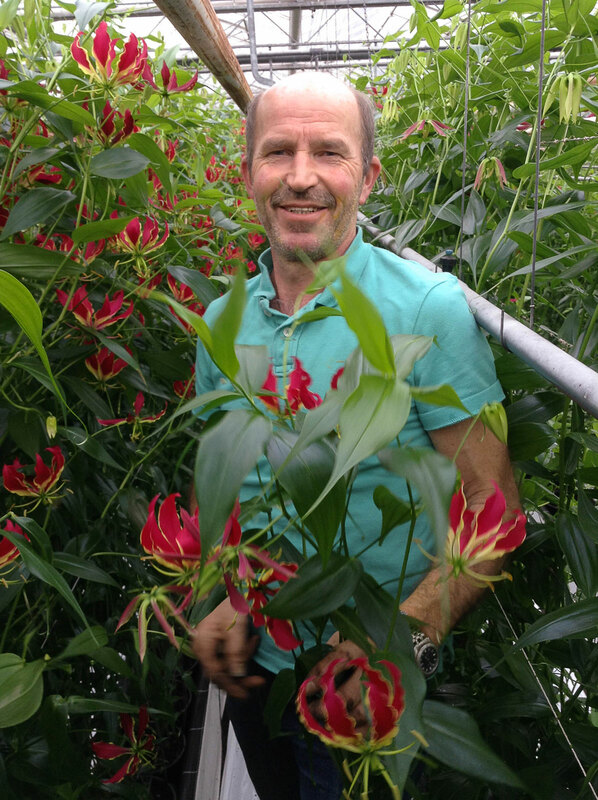 In recent years we have broadened our range of colours by selective breeding practises. Right now, orders for the new colours are limited, however in a few years’ time we’ll be able to make these colours available to all of our customers. 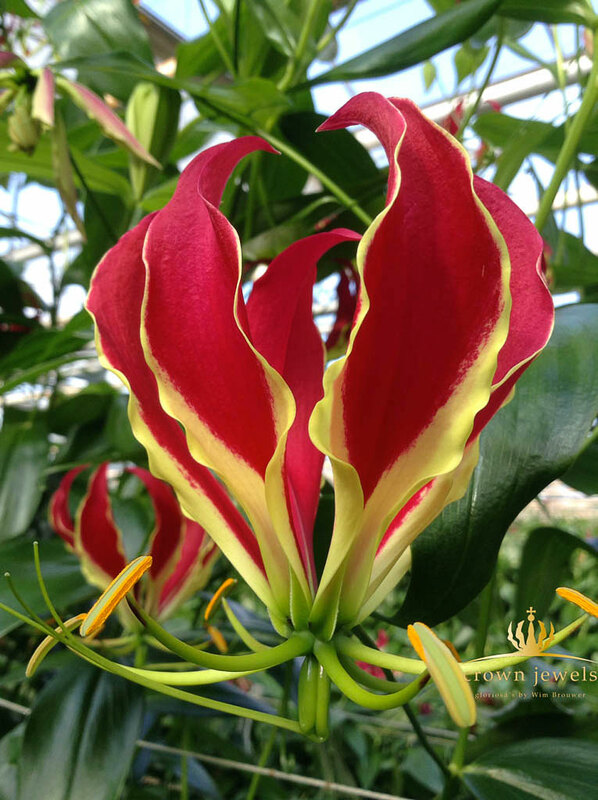 Newly arrived colours of gloriosa lily are yellow, pink, white and purple, as well as various radiant hues of orange. We will keep adding to this variety, in colour as well as in flower size and increased shelf life. 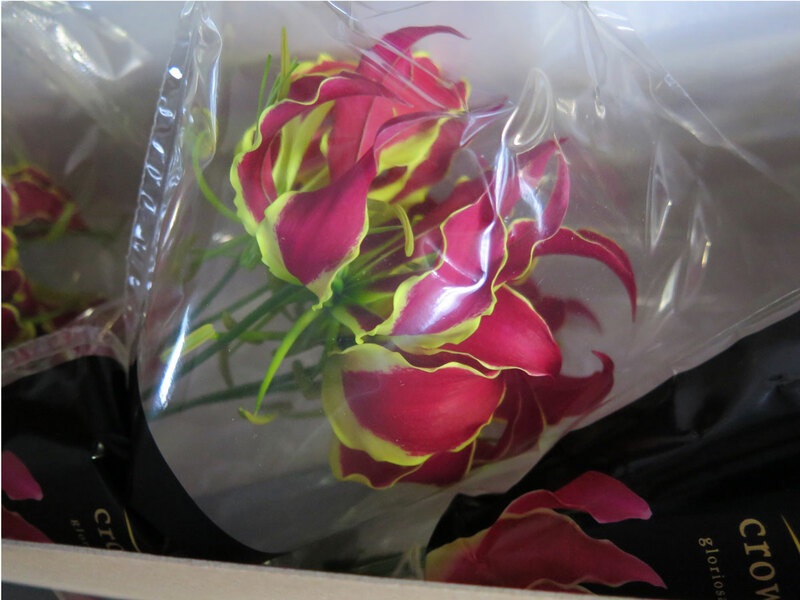 Standard sizes are carefully packed into pouches which are then pumped full of air to prevent damaging; this also ensures optimal shelf life. 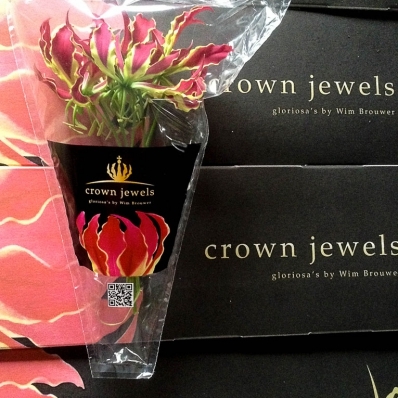 Thereafter, the product is carefully packed into original Crown Jewels boxes. 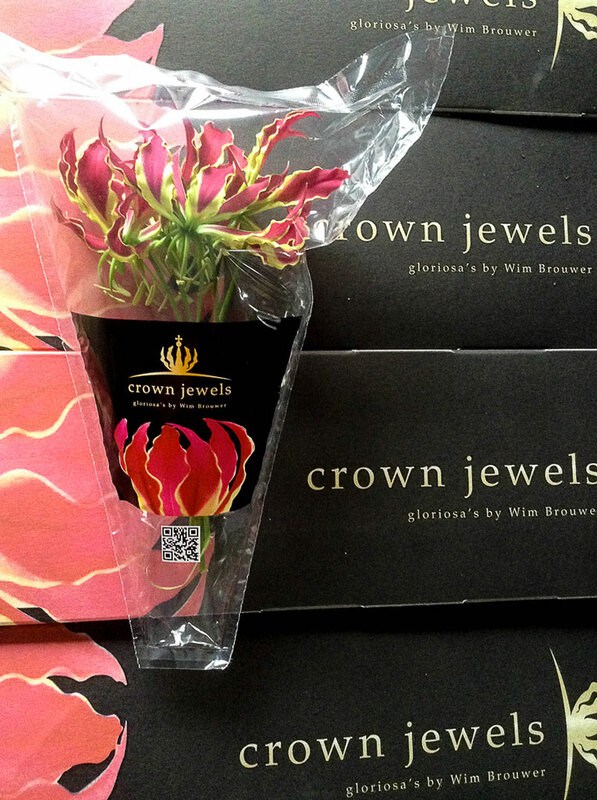 You’ll want to know that you’ve purchased authentic Crown Jewels Gloriosa lillies. 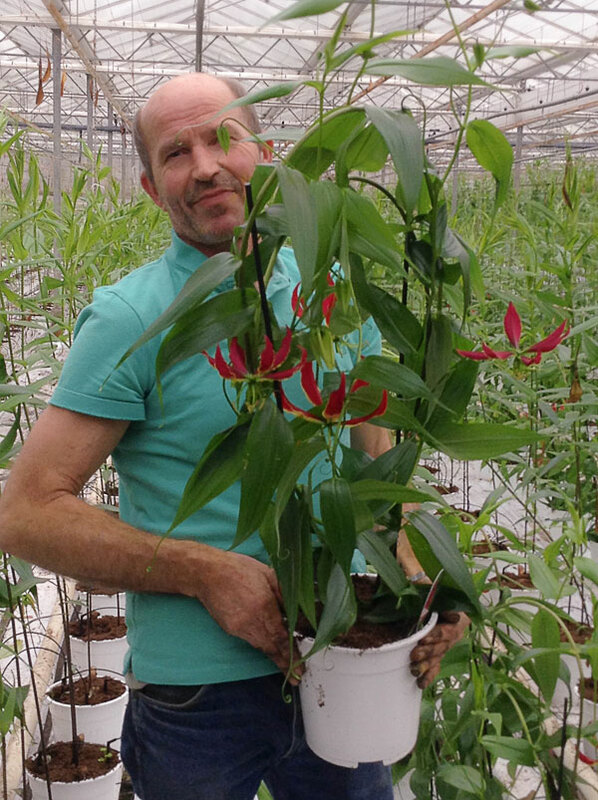 In addition to standard lengths for the shorter gloriosa lily cut flowers (20-25 cm/ 8-10 inches), we can also deliver longer stem lengths on request – such as 80 cm, 100 cm and even 150 cm (30, 40 and 60 inches). 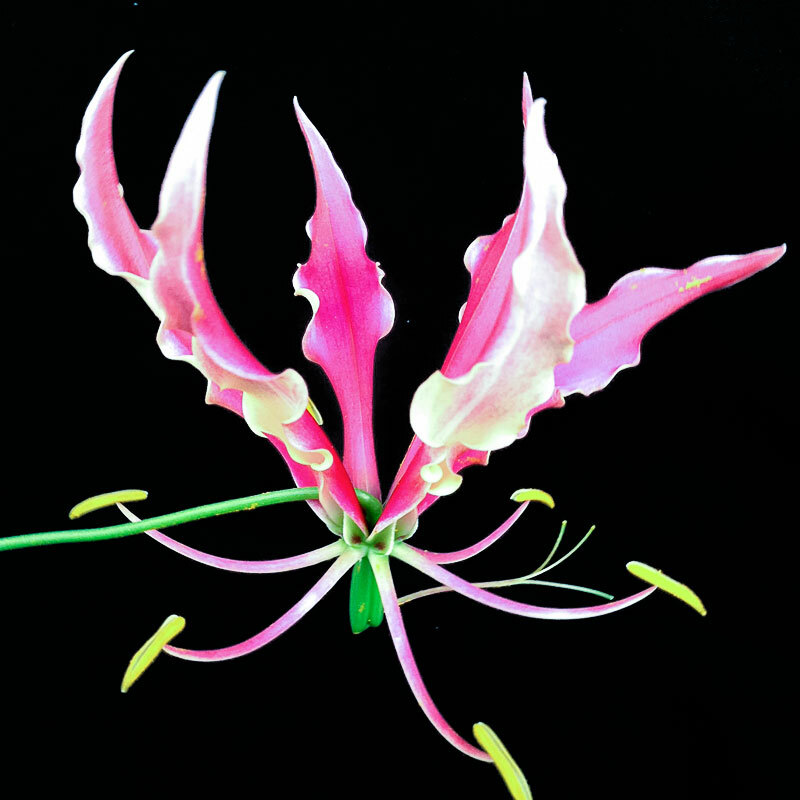 Length indicates a stem with a length of between 60 and 100 cm (24-40 inches), including leaves, flowers and buds. 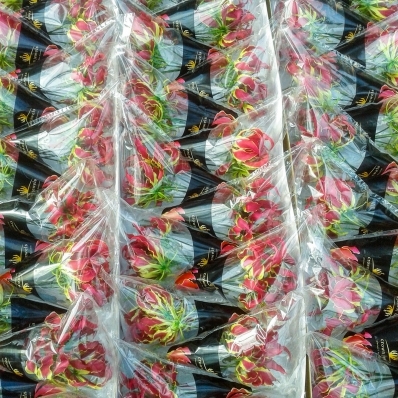 In exclusive flower arrangements these extra-long stems come to their full potential. 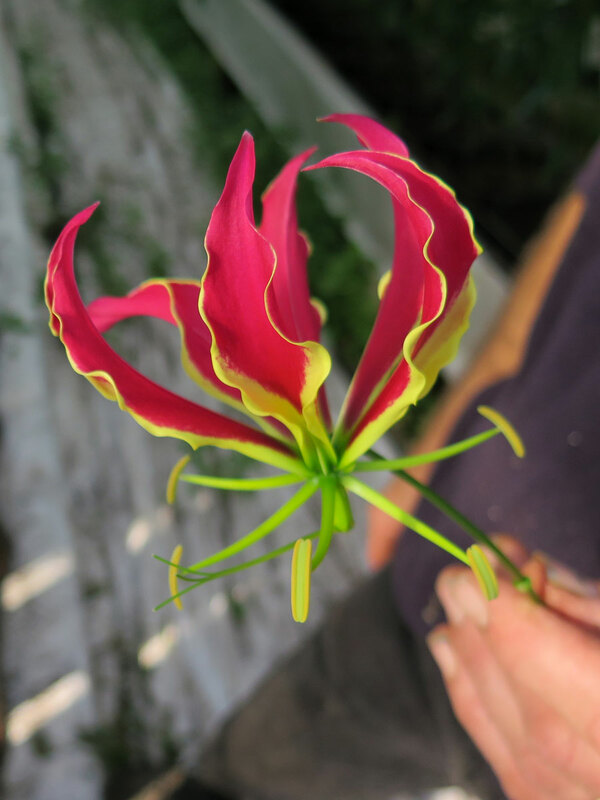 Looking after your gloriosa lily cut flowers: After receiving the flowers into your care, carefully remove them from the pouch and place them in water. 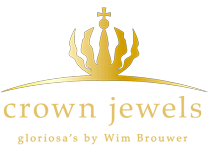 Best temperatures for keeping are around 10°C (50° F). 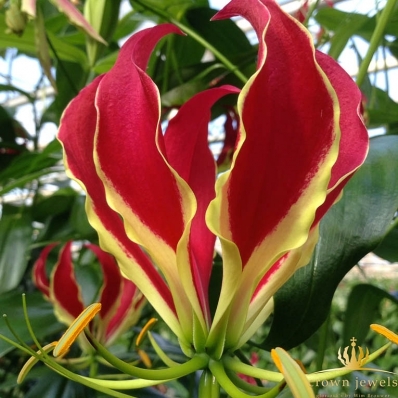 Ask your florist or garden centre for Crown Jewels Gloriosa lillies. 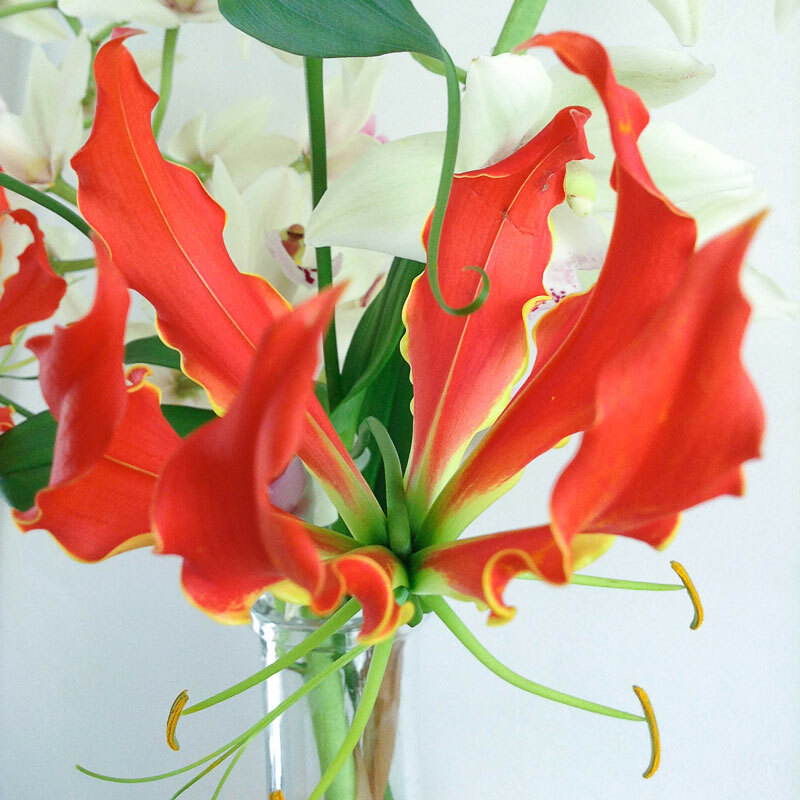 They are recognisable by their label which carries our brand name logo and lily care guidelines. 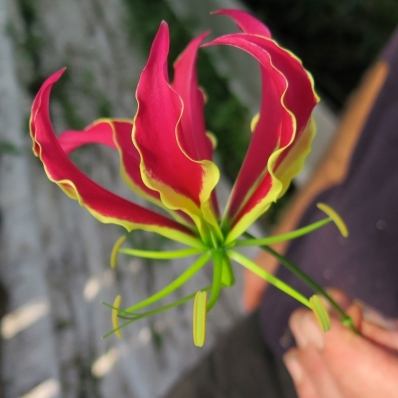 Gloriosa lily potted plant care guidelines: Ample sunlight. 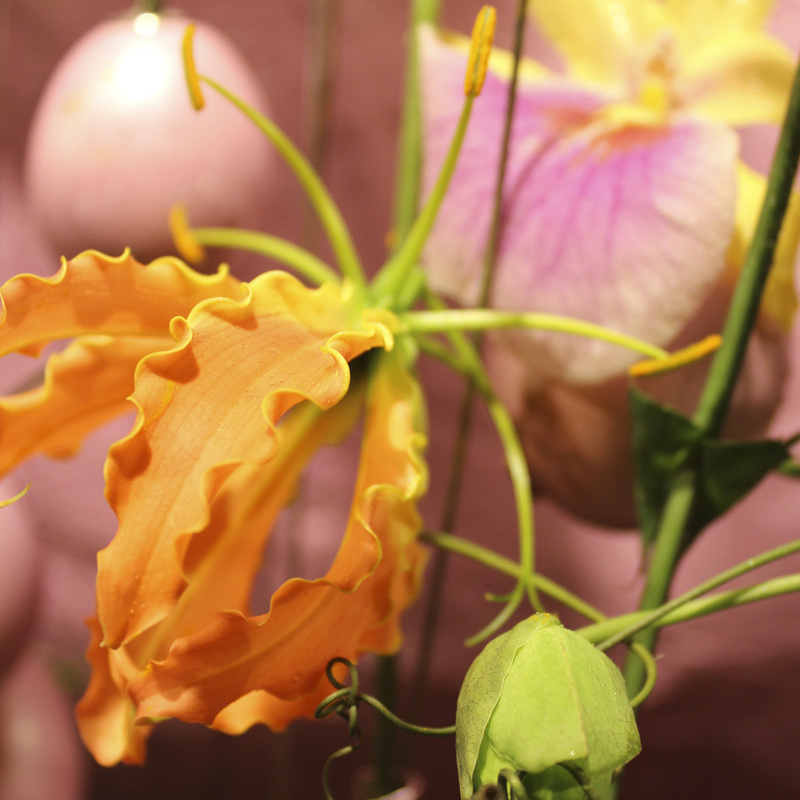 Soil should be kept moist (water twice weekly); don’t allow to dry out. 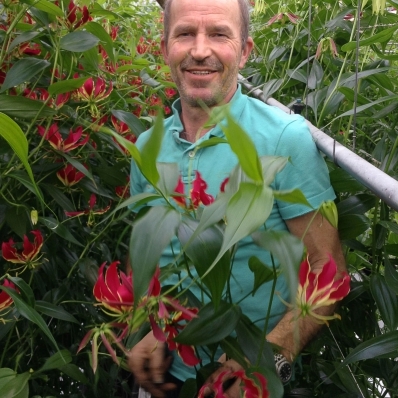 Use a medium amount of fertiliser. 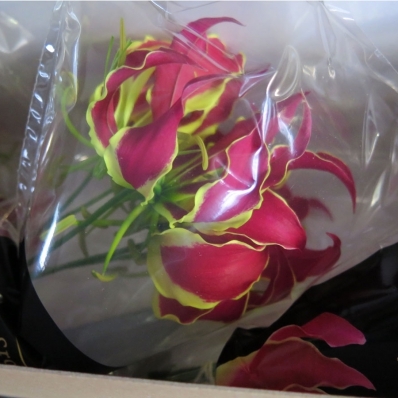 Keep the plant at room temperature. 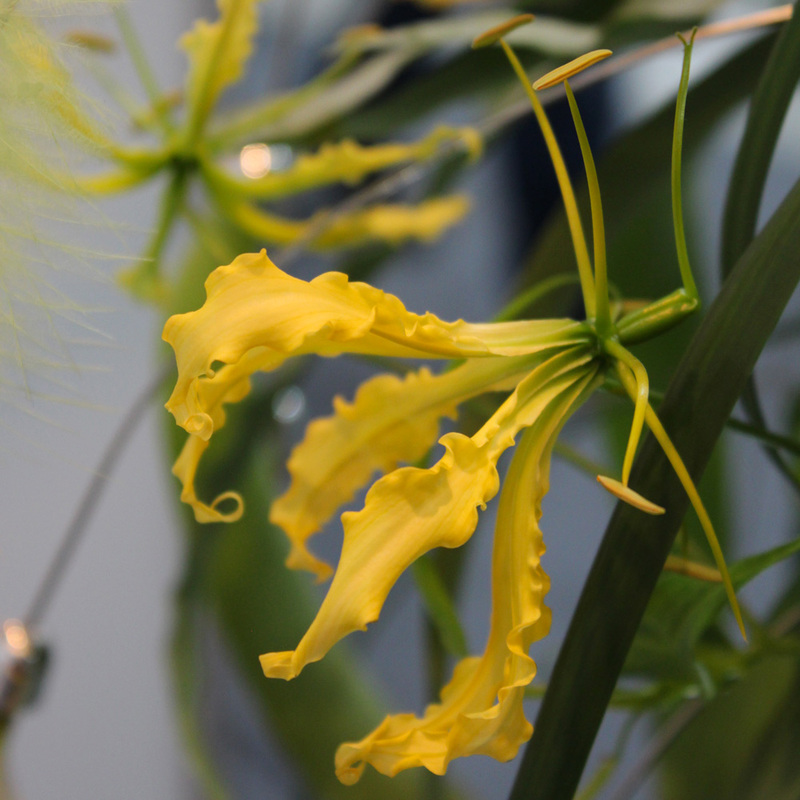 Plant can be kept indoors as well as outdoors in summer months, on a terrace, a balcony or patio. Not winter-hardy. Plants are for decoration only. Not for consumption.